UFO Moviez India Ltd (UFO) is coming out with an initial public offering (IPO) of 0.96-0.98 crore equity shares of face value of Rs10 each which will be open between 28 Apr-30 Apr 2015. The minimum bid lot is 24 equity shares and in multiples of 24 thereafter. 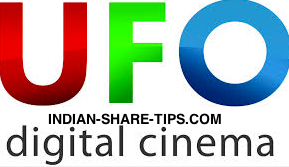 UFO Moviez operates India's largest digital cinema distribution network and in-cinema advertising platform (in terms of number of screens) as of October 2014, according to ratings and research agency Crisil. Axis Capital and Citigroup Global Markets India Pvt Ltd are the book running lead managers to the issue. Post-issue, the shareholding of the promoters in the company will be the same. The issue is priced at Rs 615-625 per share and the company intends to raise Rs 600 crore. The company will not receive any proceeds of the issue and all the proceeds of the issue will go to the selling shareholders (ie 3i Research [Mauritius] Ltd, P5 Asia Holding Investments [Mauritius] Ltd, Valuable Media Ltd, Valuable Technologies Ltd, Sanjay Gaikwad, Narendra Hete, Raaja Kanwar and Others). At the upper band of the IPO price of Rs625, the price/earnings (P/E) works out to 34.7x based on the FY2014 earnings per share (EPS) of Rs18 (no fresh issue, only offer for sale, so post-IPO the equity capital will remain same at 2.6 crore shares of Rs10 face value) and 12.6x EV/EBITDA based on the upper price band of Rs625). The issue is entirely an offer for sale by its existing shareholders including private equity investors like 3i Research (Mauritius) and P5 Asia Holding (Mauritius). There is no listed peer-to-peer comparison for UFO in India. Considering the company’s market leadership position coupled with strong earnings track record and good potential for future earnings growth led by advertisement revenues and improving dynamics for movie business, we believe the company’s growth prospect looks promising and leave scope for an upside. Remember to get free updates on Indian stock market in email by filling your email id in the subscription box. We do not spam and if you want to benefit with our premium tips than none can beat our Jackpot tip which is our best intraday tip of the day. Hope you also benefitted with our Inox wind IPO coverage here.